On these trips we anchor the boat above the wreck and fish whole mackerel baits on 30 to 50lb class gear. The target species are conger and ling but there is also the chance of catching red bream, cuckoo wrasse, and pouting on smaller baits. 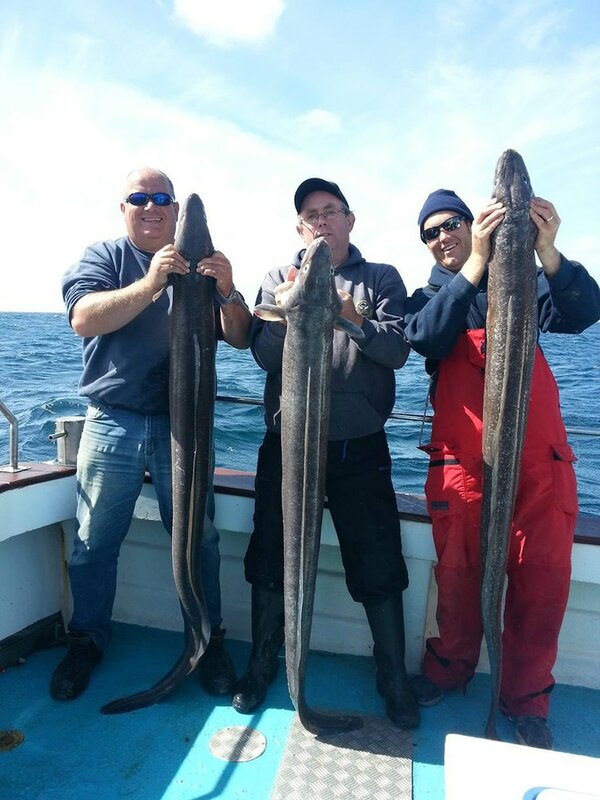 This fishing can be non stop with the ling running to around 30lb, and the congers up to 70lb. 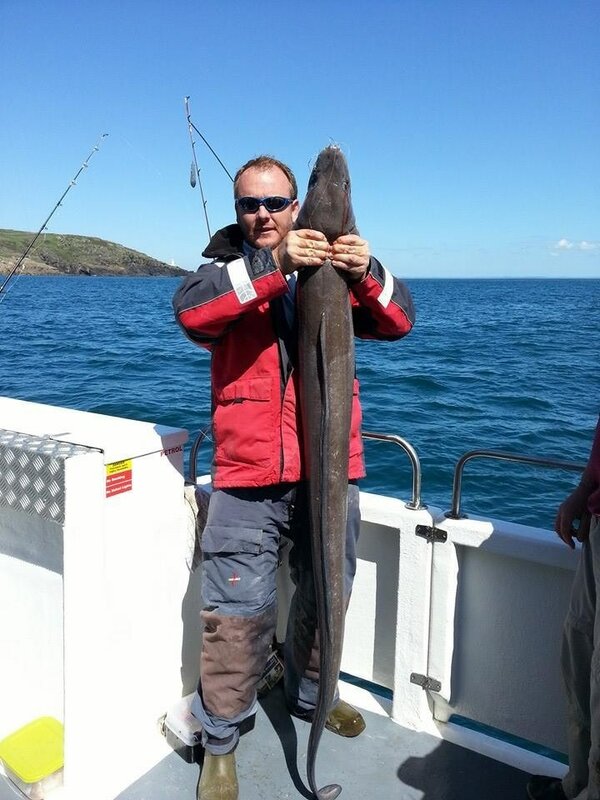 There is also the potential of a 'dream' 100lb conger.